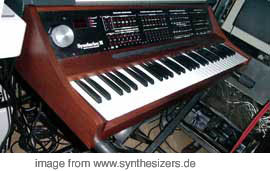 HI-END SPECIAL / Die BESONDEREN..
– New England Digital – Synclavier..
better run it with a 68k vintage mac for editing..
– 4 sample OSC/Timbres- > sampling is possible on this machine. you may have heard one @ depeche mode, kraftwerk or other ,even non-electronic-sounding groups/musicians like Zappa and Prince or Michael Jackson. 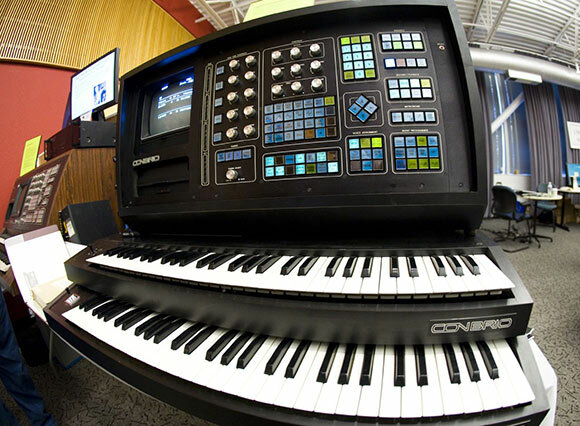 it’s far beyond the capabilities of a fairlight! NED Synth overview / überblick..
cmi – computer music instrument. more known but could do only samples. 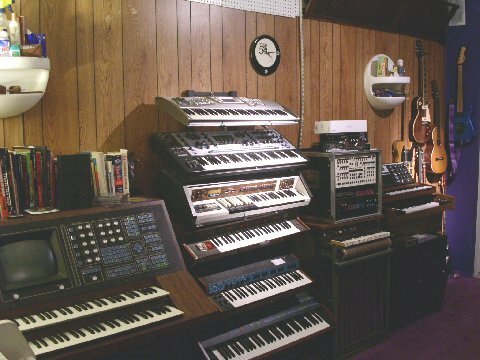 after this PCM sampling like in the korg M1 and D50 samples became very popular..
the fairlight was a complete system with sequencer controlled by lightpen, 2x 8″ floppy discs, and midi (not like the midi-less synclavier)..
famous users: vince clark / depeche mode, cabaret voltaire, erdenklang, peter gabriel..
–> Fairlight Synth overview / überblick..
a digital Synthesizer that could only be programmed via a Kaypro Computer attached to it. The Kaypro was a quite „normal“ Computer at that time, today it is very exotic of course..
16-fach Hüllkurvengenerator pro Voice ! it’s a system of analog resonanting filters controlled by a DSP. 0 Keys, external velocity pressure MIDI deluxe Ctrl, Sequencer, Arpeggiator, continue / weiter..? – later updated to Paca/Pacarana, which is a lot faster and chances the way the audio is sent to. 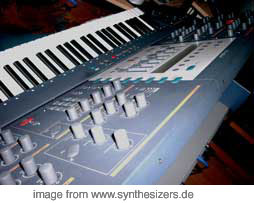 neuronal synth – has 13 special parameters and morphs 2 samples into another seamlessly. 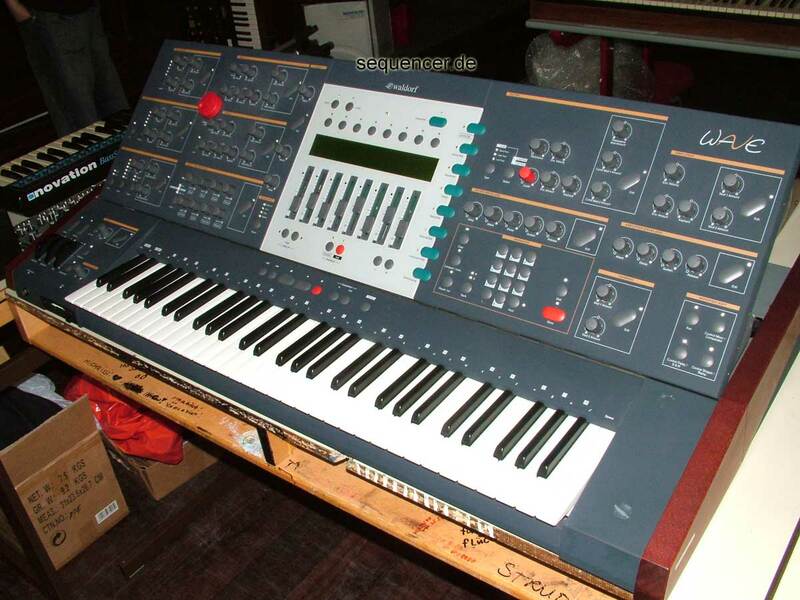 completely digital – basically this is a standard Linux computer, like Korgs Oasys. in it’s V2.0 .. you have access to a load of parameters – resonating delays and lots more that form that simulation of classic acoustic instruments – the more interesting part (with V2) was, to stretch those parameter ranges which was in a time of digital synths simulating analog synths just starting to become popular, so the VL has not had a good standing and wasn’t sold that often!.. 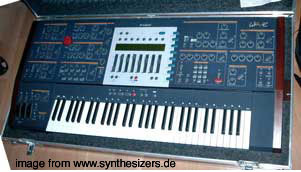 49 Keys, pressure velocity deluxe MIDI controller Ctrl, ~1200€ (in 2005) continue / weiter..? the downsized version vl70m or the vl module that can be found in some yamaha mu modules and as a module to slot into their bigger newer workstations.the vl70m is NOT the same as the vl1/7 series and also sounds „weaker“. and the FX are also downsized. 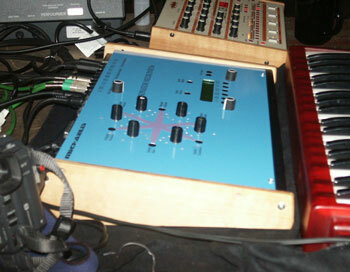 0 Keys, pressure velocity deluxe MIDI controller Ctrl, ~1200€ (in 2005) continue / weiter..? 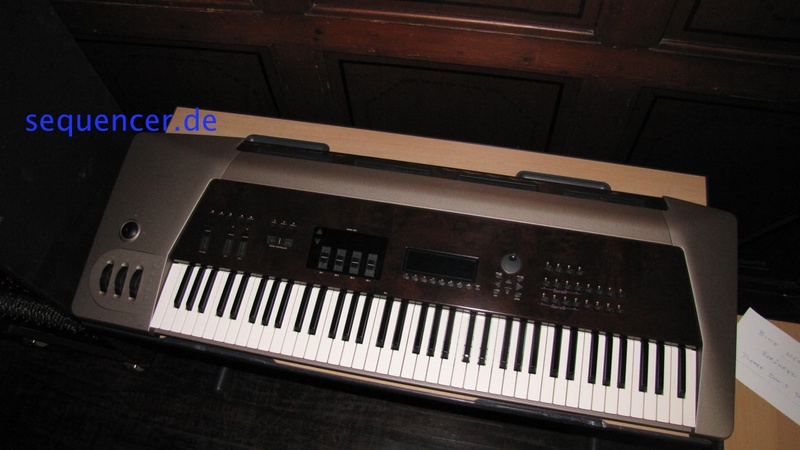 73 Keys, pressure velocity deluxe MIDI controller Ctrl, ~17899€ (in 2009) continue / weiter..? 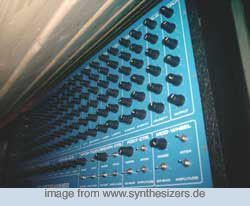 which works with a set of waveforms that can be changed, called a Wavetable – smoother interpolations can be made by not using all 60 (later 128 at Waldorf) waves in a table – the Wave can even analyse audio to create wavetables but needs an external software – but it can do algorithmic FM, PWM and more called UPAW that can be created directly on the synth itself. 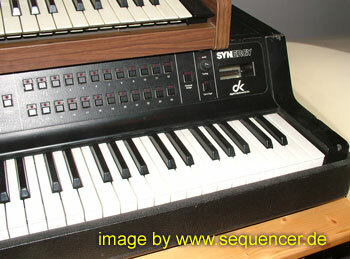 61 Keys, velocity aftertouch MIDI sysex Ctrl,~4000€ (in 2005) continue / weiter..? 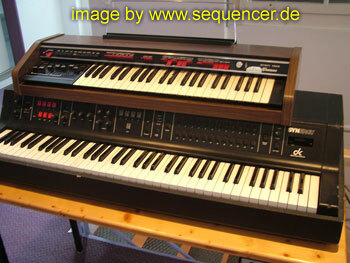 61 Keys, velocity aftertouch MIDI Ctrl,Sequencer, ~1400€ (in 2011) continue / weiter..? 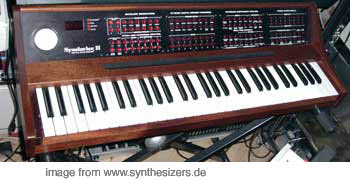 the wave system also comprised of a computer called the waveterm which was there to use samples and create waves and wavetables – which was later done on the Waldorf Wave without the need of the waveterm – but losing the sampling capability. 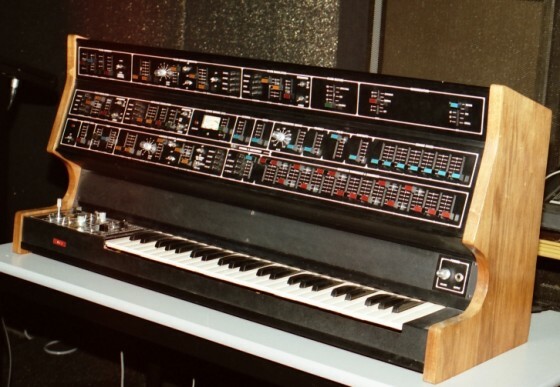 – Qasar M8, made in 1978.
never seen that one – and looks like it was to pricey to be released or sold, so the well known computer had to come and it was sooo cheap, remember the price? so – this one must be „§$%& unaffordable. 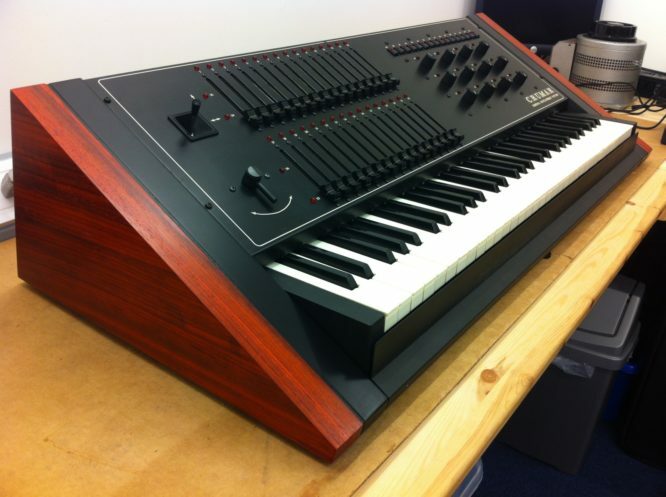 Deviant Synth – Analogue Heaven is poison. We are the antidote. 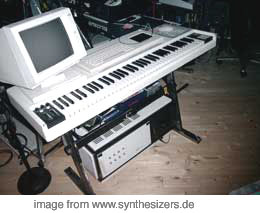 XD » What came before the Fairlight?. 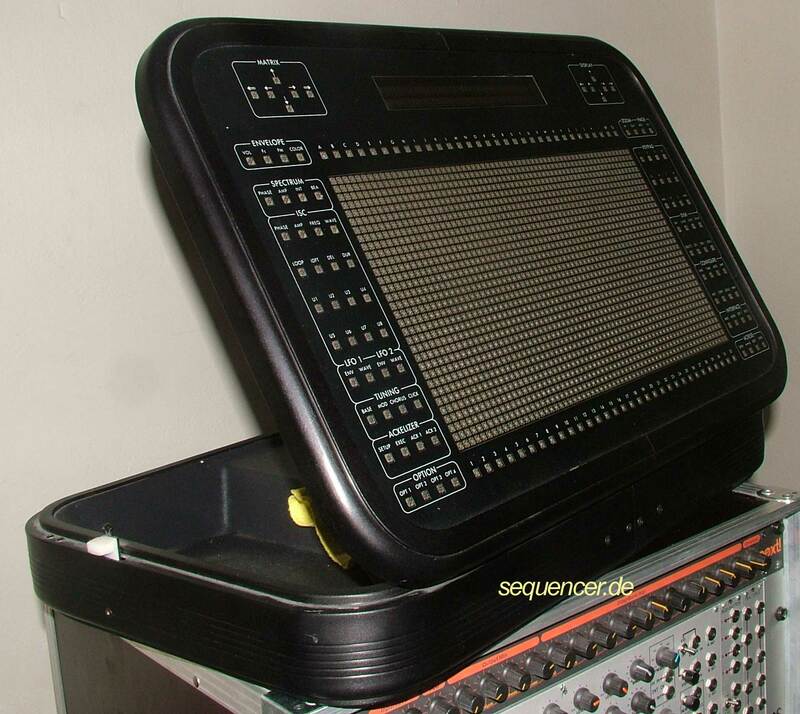 click – enlarges the images..
multitimbral and 16 OP Oscillators, seems like it was spotted on a vintage computer (!) festival.Possibly this one is owned by Brian „Moog Cookbook“ Kehew (was posted on the blogs earlier and I am sure Matrix has a post on this, too)..
Ah, and there’s an Altair on that page, too..